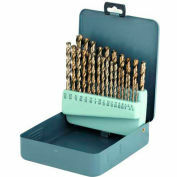 35/64" HSS Imported Silver & Deming Drill 118 Deg. Triumph Twist Drill Style T9F HSS Reduced Shank Drill Black Oxide 5/8"
Triumph Twist Drill Style T9F HSS Reduced Shank Drill Black Oxide 13/16"
1-23/64" HSS Imported Silver & Deming Drill 118 Deg. 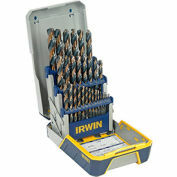 High Speed Steel TMX General Purpose 118° point Silver and Deming Drill. 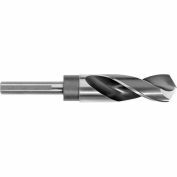 HSS TMX Reduced Shank Silver and Deming Drill with 1/2" Shank, General Purpose with 118° point, 35/64" cutting diameter x 3" flute length x 6" overall length (OAL). 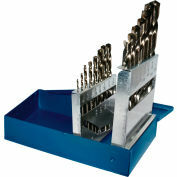 3/4" HSS Imported Silver & Deming Drill 118 Deg. 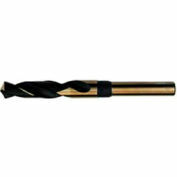 Triumph Twist Drill Style T9F HSS Reduced Shank Drill Black Oxide 21/32"
Triumph Twist Drill Style T9 HSS Reduced Shank Drill Black Oxide 1-1/8"